The World Bank alone cannot meet the huge infrastructure fund requirements of the emerging nations, its President Jim Young Kim has said while welcoming the decision of Brazil, Russia, India, China and South Africa to establish the BRICS Bank. Kim, who recently visited all of the BRICS countries, said the World Bank alone can not solve all the financing needs of emerging economies. “Every single one of the BRICS countries has an enormous infrastructure deficit that simply can’t be met by a single institution, certainly not the World Bank in and of itself,” Kim said. “For us, the BRICS Bank is quite a natural extension of the need for more investment in infrastructure, and so we would welcome it,” he said. 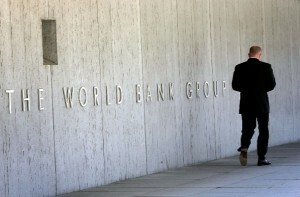 He was speaking to reporters in Washington on Thursday at the World Bank headquarters. The World Bank president said during his visit to BRICS countries he did not experience even slightly a diminishing of demand for its services. “It is true that the BRICS countries, many of them are extremely well financed and have money, but they continue to come to us for very specific reasons.